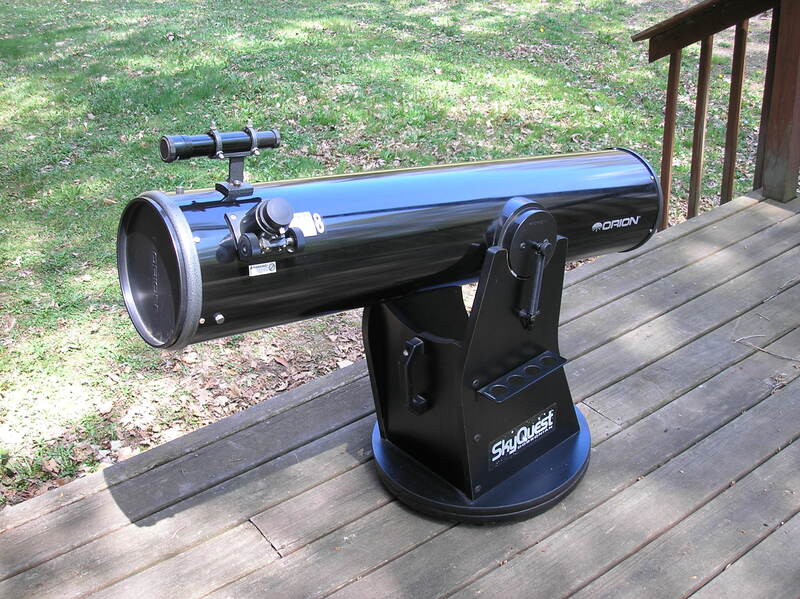 UPDATE: Sunday, December 13th, 6:00 p.m.
We’re going to try for Monday night (Dec. 14th) instead given the poor conditions over Marcellus and the hope that patchy forecasts tomorrow will mean holes enough to see meteors. Check back around 5:00 p.m. Monday evening for a final announcement. … there may be a slight amount of clearing this evening. While the CSC looks a little better for some of tomorrow night, the other forecasts you might see online differ as to if and how much rain to expect. We’ll make a final post here and on our Facebook Group page around 5:00 p.m. In the meantime, if you’re in a location with a large clear patch over the next few days, this handy-dandy sky chart from Sky & Telescope gives you all the important information. If you can find Orion’s Belt, you’re well on your way to orienting yourself for the Geminids. 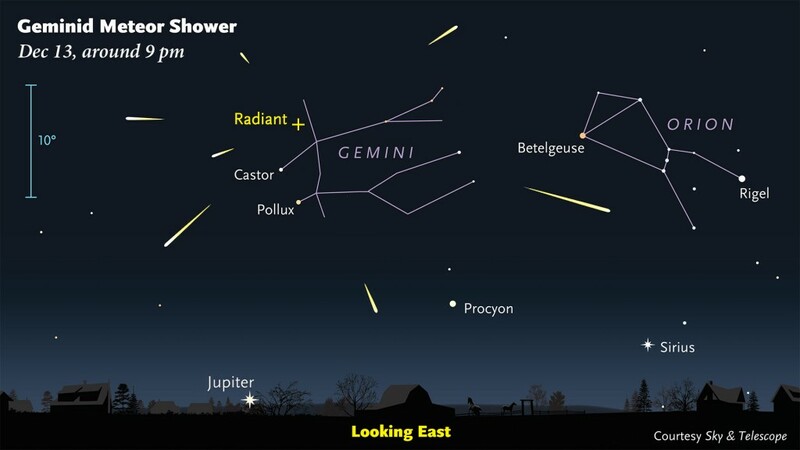 Map of the Geminids from Sky & Telescope. Click for a larger view. The following email came across the internets yesterday announcing updates to the Maine Astronomy Retreat, yet another excellent Star Party placed reasonably close to Central New York. For those interested, check out the email and embedded links for more information. 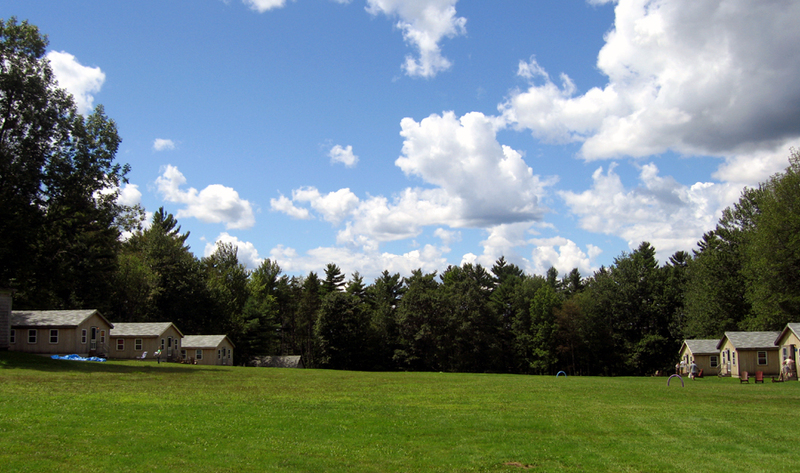 We are reaching out to inform you of an update about the Maine Astronomy Retreat at Medomak Retreat Center in Washington, Maine – a vacation for you and your telescope! We would love if you would pass on this information to your group members or include it in your newsletter and calendar of events. 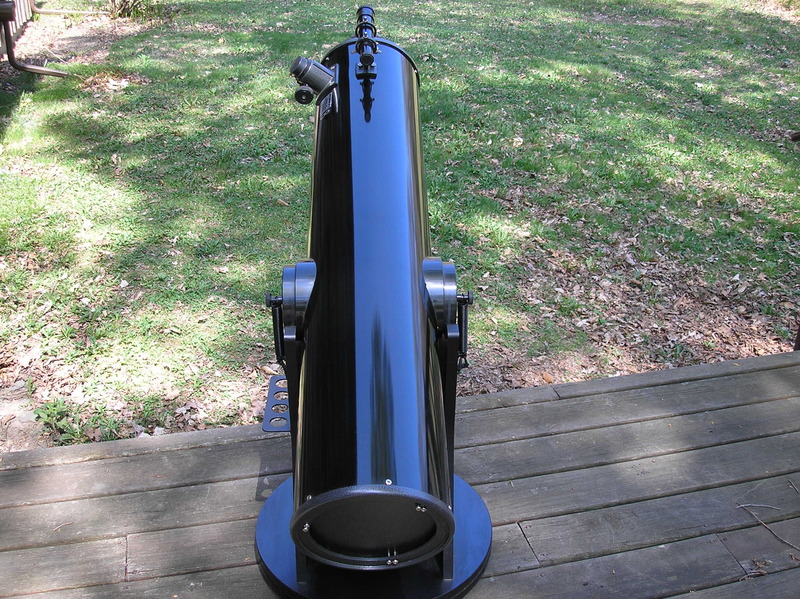 Please see our website, http://www.astronomyretreat.com, for more details, and to register. If you have any questions, please feel free to give us a call at 1-866-MEDOMAK.